Although the best time to visit Paris is spring or summer, the French capital also bestows its charm when winter falls upon its famous monuments and places. Starting mid-December, Paris is filled with Christmas markets where Parisians and tourists can find inspiration for last-minute gifts. At the edge of November when Paris still dreams of clear weather and evenings are spent on coffee shops’ terraces, winter mercilessly brings its army of thick grey clouds, chilly winds and showers of rains upon the capital. While Parisians are busy running from metro stations to offices and schools, tourists take their time to enjoy the numerous beauties of the city. 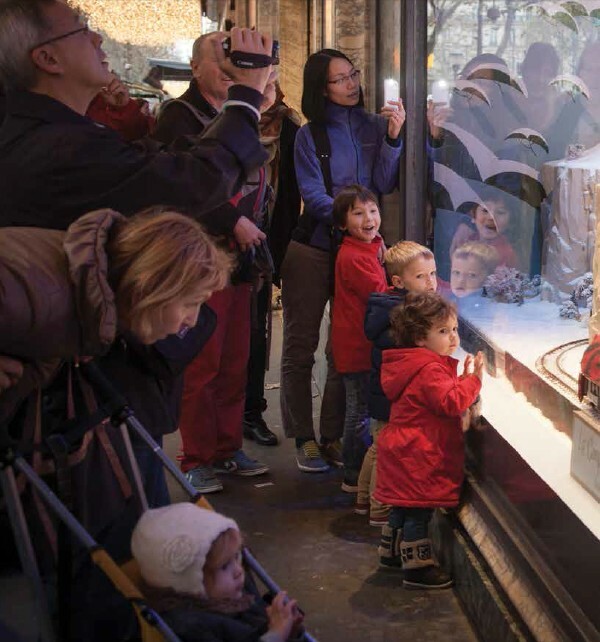 Garlands, toys and colourful settings are among the favourite attractions of visitors coming to Paris during winter time. To balance winter’s monotony, Paris starts to wear ephemeral colours and lights while entering December. 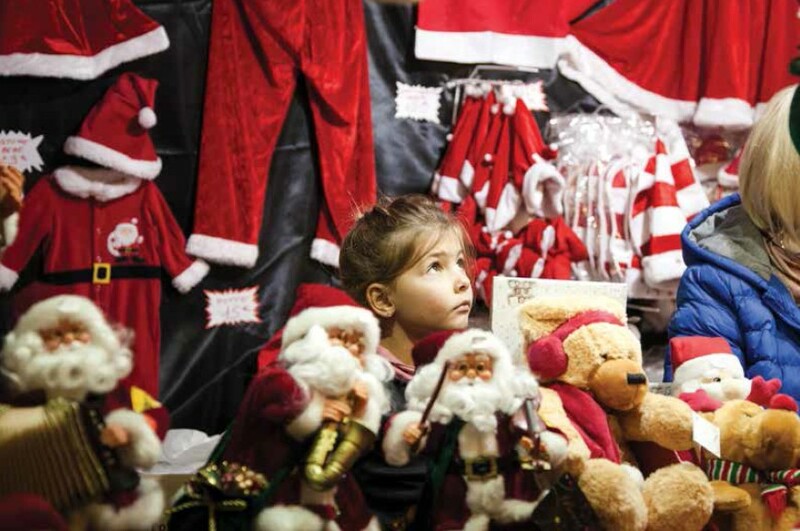 You will see windows illuminated with twinkling garlands, shopkeepers busy decorating their interiors with Christmas’ colours, trees sparkling in the night and Santa Claus roaming in popular places of the capital. 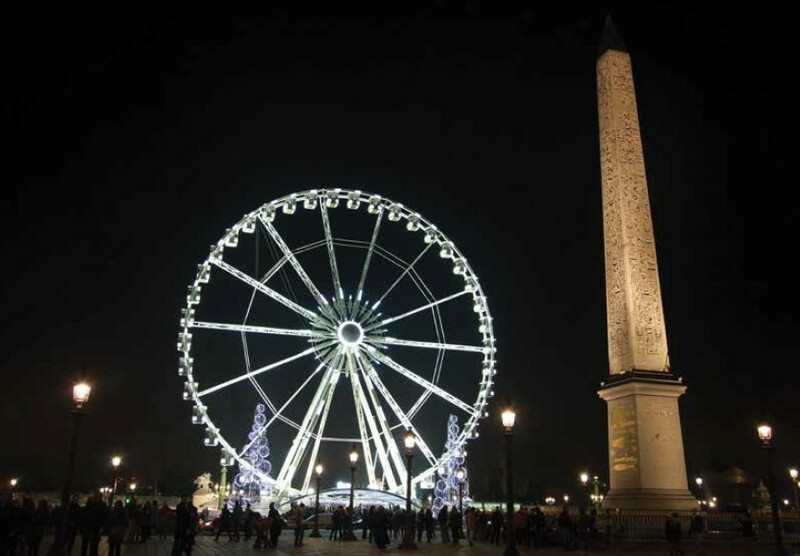 Being one of the fashion capitals of the world and a hub for shopping, Paris will not let you down with special offers and events held during the period. One of the main attractions remains the sophisticated windows of shopping temples, Printemps Haussmann and Galeries Lafayettes. With visuals and stories changing every year, the decorations especially designed for the occasion never fails to attract both children and adults. Instead of displaying the usual accessories and fashion items, the facades and their settings will take you on a fantastic journey to an imaginary world filled with toys, teddy bears, miniature trains and everlasting snow; accompanied with Christmas carols and lively melodies. The department stores, may awe you with the grandeur of the decoration. At the Galeries Lafayettes, the theatrical structure of the building is used for a dramatic installation every year. The concorde offers a magical view by night. (Right) A happy couple celebrates their wedding on the Champs Elysées. 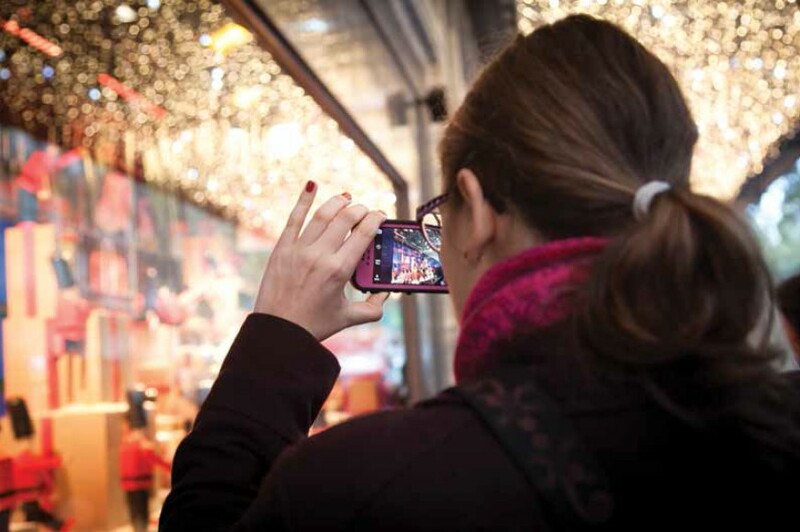 A stroll on the world famous Champs- Elysées to enjoy a late night shopping for local products, handicrafts and special foods for Christmas adds on to the mood. To warm you up, try hot wine with wafers. 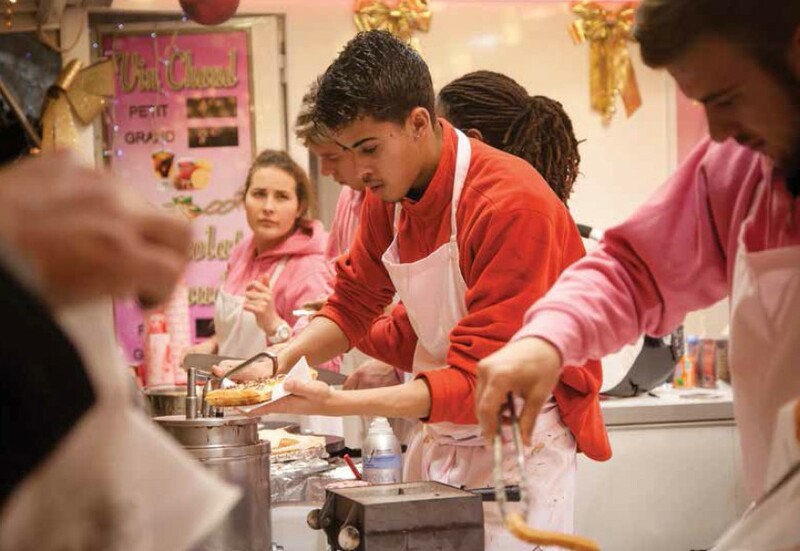 You might also want to taste French sausage or cheese, or even grilled salmon sold on one of the crowded stalls. In-between the stands, you will be able to enjoy various activities such as small attraction parks for children, pony rides, pictures with Santa Claus, and even massage sessions to relax your muscles after a long day of shopping. While walking on the beautiful avenue, you be charmed by the illuminations embellishing the trees and giving a magical touch to the most romantic city in the world.